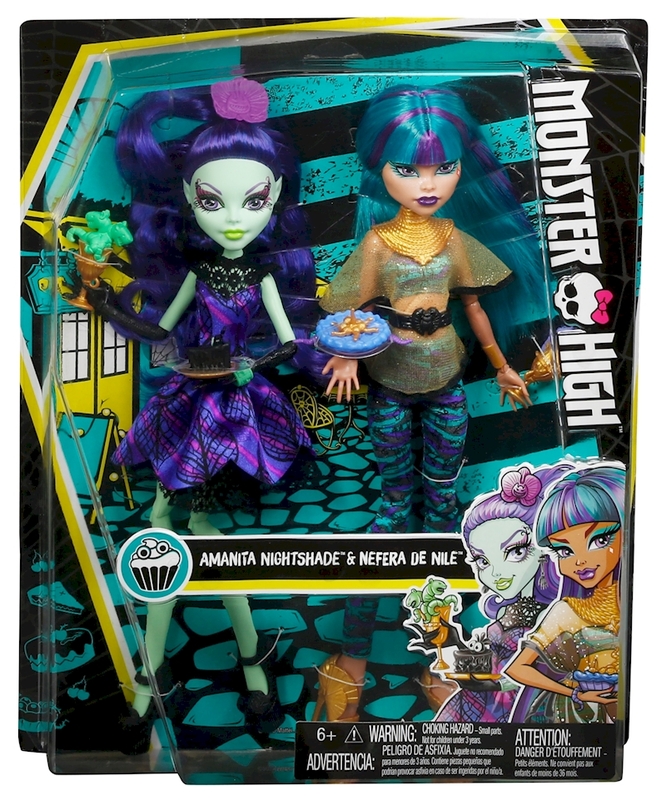 Double the fun with two Monster High™ characters together -- Nefera de Nile™ and Amanita Nightshade™. 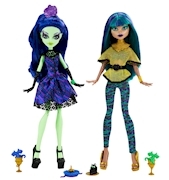 Both ghouls are ready for a midnight bite in to-die-for looks with signature style and lots of legacy-inspired touches. Nefera, daughter of the Mummy, comes alive in wrap-inspired leggings, her signature Nile-inspired color scheme, a flowing top and Egyptian touches. Amanita, the bad seed of the Corpse Flower, is gore-geous in an outfit with rich colors, graphic prints and garden-inspired accents. Detailed accessories include scary cool shoes, iconic headpieces and trendy jewelry. An additional piece count that includes monster-themed food and drink treats for each is perfect for storytelling fun around the clock! 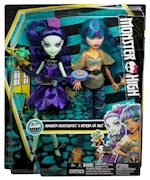 Includes Nefera de Nile™ and Amanita Nightshade™ dolls wearing fashions and accessories, plus monster snack piece count.